The ultimate guide to La Thuile ski holidays in 2019 & 2020. Ski holidays here are relaxed and affordable, in a friendly atmosphere oozing historical Italian Alpine Charm with all the conveniences of a modern ski resort. With the French Alps just over the border and the Rutor glacier and Mont Blanc in your sightline, you can expect a varied and scenic experience on the slopes. Sitting on the boarder of Italy and France in a vast grassy basin at the western end of the Aosta Valley, La Thuile is a quaint resort sharing its ski domain with the French resort La Rosière. Consisting of both an old alpine village and a modern, purpose built resort, separated by the Dora di Verney river, La Thuile offers a mix of charm and convenience. Knee deep in history, La Thuile’s old mountain village dates back to the Roman era and served as a mining town up until WWII. 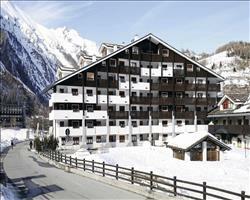 It offers traditional alpine charm with authentic Tarentaise wood and stone architecture. At the foot of the ski lifts, purpose-built counterpart Planibel offers fantastic access to the surrounding slopes as well as plenty of modern amenities and tall, chalet-style apartment complexes. You’ll find a range of shops, restaurants and bars as well as a night club and a fitness centre. Visit three countries during your ski trip to La Thuile as the resort’s closest serving airport is none other than Geneva, with a transfer time of under 2 hours. The drive to the resort from Calais takes about 8-9 hours and if you’re travelling by train, Pré-Saint-Didier is the closest stop. With La Thuile connected to La Rosiere via the Colle del Piccolo San Bernardo, you can ski two countries in one day from this fantastic resort. 35 modern ski lifts offer access to the Espace San Bernardo ski area, offering 150km of uncrowded piste over the Italian and French Alps with something for all levels of skier and snowboarder. The Aosta Valley is one of few ski areas where heliskiing is still allowed in Italy, making this an amazing place to stay if you want to ski further, higher and steeper. View our detailed La Thuile snow forecast or snow report and see all live webcams, piste maps, road and travel maps and lift pass prices. For a picture of historic snow conditions see the snow depths month by month with our La Thuile snow history. Rendez-vous at the bottom of Les Suches cable car for La Thuile’s ski and snowboard schools. From here, new skiers and boarders should take the lift up to Les Suches 2200m, followed by the La Combe chairlift for a cascade of lovely green and blue runs. Don’t miss the petite Edelweiss and Piloni blues if you’re looking for quiet slopes to practise new skills. At the top of the Chaz Dura lift (which takes you to the ski area’s uppermost point at snow sure 2579m) intermediates will find a generous scattering of strawberry lace runs: ride the chairlift again and again as you continue to discover new challenges each time. Ski the longest run in the red San Bernardo for gentle cruising and fast-paced descents all rolled into one piste. La Thuile’s tree-lined runs of the Diretta and Franco Berthod provide all the uneven powder that advanced skiers and boarders long for. Put your skills to the test at the Zittieux snow cross in the La Rosière domain as you train against the clock to get your forest run personal best. Experience more drops, steeps and powder as this is one of only a few domains that gives advanced skiers the opportunity to book a heliski drop-off – head to the top of the Rutor or Miravidi for unforgettable descent from up to 3,486 m. Book a tour with one of La Thuile’s mountain guides for an expert introduction to the mountain tops. Freestylers should turn off at the blue Piloni run for a snowpark of kickers and fun boxes. Little children have their licence to use their skills on a corridor with whoops in their designated space in this park. Find a second snow park for further fun boxes, rails and a big air over in La Rosière where you can also have a go at kite skiing. This is Italy and in true Italian fashion, the après ski remains pretty quieto until later on in the evening. Enjoy a long and hearty meal at Maison Carrel for antipasti of traditional meats and cheeses, followed by Italian specials like lasagne and cornmeal polenta. Obviously there’ll still be room for pudding, because you won’t want to miss out on a home cooked dessert in the form of a chocolate tart and other such delights. Delizioso! For more chocolate drops of heaven, the Chocolat café offers a cosy venue for you to enjoy an Italian strength espresso or creamy hot chocolate, accompanied by a deliciously designed treat or two. After midnight the party venues crackle to life. At La Bricole, night owls swoop upon the classy cocktail bar, known for featuring live music for the perfect accompaniment to an Italian jig. If you’re staying in Planibel with a group of friends, you’re in the ideal spot for the Fantasia discotheque, playing all the tunes you’ll need for a night on the dance floor. For evenings, non-skiers and days off the slopes, La Thuile has a magic hat full of endless goodies to keep you entertained and wowed. Try snowshoeing for a feel-good challenge through serene woods with the most spectacular viewpoints. Watch out for dog sledding runs, providing a faster way of appreciating the surroundings with the help of four legged friends. Fancy a little quality time inside? Head over to Pré Saint Didier for an unforgettable mountain spa experience. The Konver Music Café Sports Centre houses a climbing wall, gym, five-a-side pitch and beauty therapy centre. When is the best time to ski La Thuile? As a vast, grassy basin with access to glacier skiing and peaks up to 3,846m, you can usually enjoy fantastic conditions from mid-December to late April. 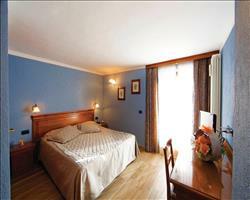 Thanks to the ratio of beds to lift capacity, the lifts here are known for their minimal queues. The standard San Bernardo lift pass gives you access to the Southern facing La Rosière on the French side of the Franco-Italian boarder, providing sunnier skiing conditions early in the season. For Easter visits to this resort and late season skiing, the local domain is mainly north facing, meaning it’s sheltered from the brunt of the spring warmth. 398 canons serving the entire area provide a fresh coating of snow to keep you sliding over the pistes. Take the clan to La Thuile for a week of family fun on the snow. 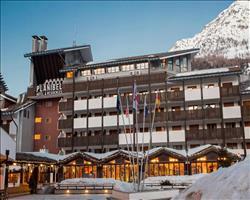 The Planibel Hotel and Apartments can be found in the family-friendly Planibel complex and offer everything you need for a week in the mountains. Boasting a ski in / ski out position less than 1 minute from the nursery slopes, ski school meeting point and ski lift, you won’t have to worry about lugging equipment or travelling far for lessons or the lift. Opt for hotel accommodation if you want cooking and cleaning taken care of so you can enjoy more time together. Look out for hotels with family rooms or adjoining rooms and hotels with childcare services if you’re travelling with children too young to ski. Self-Catering apartments are a good choice for families too – cook what you know everyone likes in your own space and time, usually saving money while you’re at it and explore the family-friendly cafes and restaurants as you please. In the ski area, children will be greeted by resort mascot Thuilly and can learn to ski in Planibel’s amazing Fantaski snow park which has a magic carpet. Teenagers with more experience can learn and practice some tricks in the snowparks and have a range of things to do inside such as having a game of 5 a side football or spending some time in the arcades. Children too young to ski can be looked after in a safe environment with fun, games and activities at Bosco Incantato. A must for families staying here is Snowtubing for some fast snow fun. A group of experienced snow lovers have come to the right place here as it’s one of the only ski areas where heli-skiing is still allowed – clue up on avalanche safety, hire a guide, arrange a heli-drop to the Rutor - you’ll have an unforgettable time. Less experienced skiers and boarders are also well catered for with excellent ski schools and a lovely range of beginner slopes – book Hotel Planibel or the Planibel Apartments if anyone is taking ski lessons as they’re less than 1 minute from the ski school meeting point and nursery slopes. These options are brilliant for groups – they’re both part of the same complex with great facilities, so even if your group can’t decide who wants to self-cater and who doesn’t, you can pick and choose and enjoy everyone staying nearby. Our large hotels can be a sensible choice if you think stragglers might want to join up later. Book a hotel with 4 or 5 stars for a luxury getaway and enjoy onsite wellness facilities and more. Self catering can work brilliantly if you’re a small group looking for a cheap holiday – take turns cooking and cleaning and you can all enjoy a flexible and relaxed home-from-home. Book everyone and everything together in a package with flights and transfers to keep things simple. You can select the airport that works best for your group in the search below. Self-drive packages with channel crossings and accommodation-only deals are also available. Give our ski specialists a call with your criteria and we’ll do the hard work for you. "Great if you just want to ski"
We’ve been to La Thuile a few times now. It’s a good, big area with lots of runs, lots of lifts and hardly any queues. The slopes are north facing which means good snow – the conditions have been a lot better when we’ve visited in February but they weren’t bad at the end of March either, they just didn’t have as many lifts open as normal. We went on a day trip to Pila this time and really enjoyed that as a change of scenery. There isn't much to recommend off the slopes, this is a resort for people like us who just want to ski all week! The skiing is very good, it’s best for intermediates but there are certainly beginner’s slopes and stuff for advanced people too. There are lovely little restaurants/huts up in the mountains and back in town it’s a lovely little Italian resort. La Thuile has a good ski area and the snow was good when we were here. However the resort doesn’t cater to young children very well– there are no special children’s learning areas like you find in France, they just take the kids straight onto the mountain which our 4 year old didn’t really enjoy. I’d recommend it to families but not to lads on tour as it’s pretty dead in terms of nightlife. "Good variety of runs, friendly après ski"
Lots of runs offering a good variety. Town offered nice range of restaurants and a nice friendly café for pre evening après ski. We were their one week and never got bored. That said we did feel that we experienced everything on offer so no need to return as nothing was missed.